Those applying data science analytics to their research, such as Celeste Kidd from the Department of Brain and Cognitive Sciences, are experiencing new levels of understanding and contributing new knowledge to their fields. 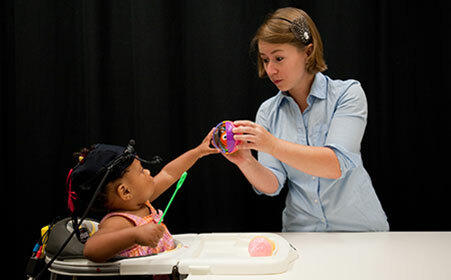 Celeste Kidd, assistant professor of brain and cognitive sciences, combines computational modeling with traditional methods to study how infants and children allocate their attention to the world. Kidd runs behavioral tests in her lab with children, and she uses eye-trackers for infants to identify what mechanisms they employ to learn. For instance, she might show infants a display featuring three boxes that pop up at different times. The eye trackers measure where infants focus their attention. Kidd then analyzes this data to understand, predict, and even optimize learning environments.